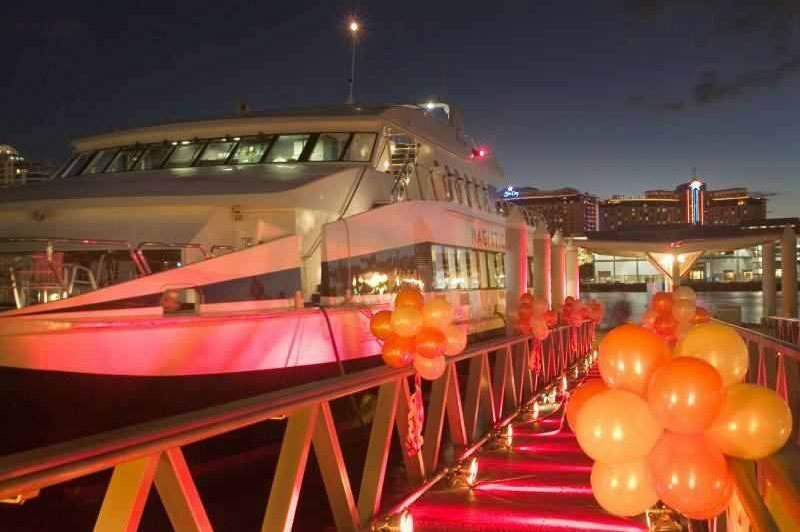 We recommend a smart and elegant dress code for this special NYE cruise. Ladies usually dress up. Collared shirt and jacket for men is encouraged. 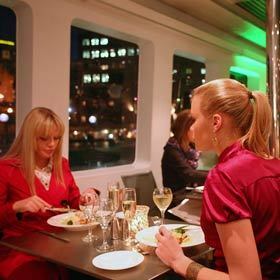 Bring in New Year 2019 with an exclusive celebration aboard the luxurious Magistic Two at its very private VIP Top Deck. 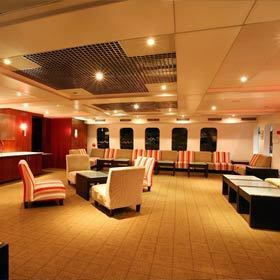 Fifty guests will have the privilege of enjoying this private space aboard the vessel to celebrate New Years Eve in comfort and luxury. 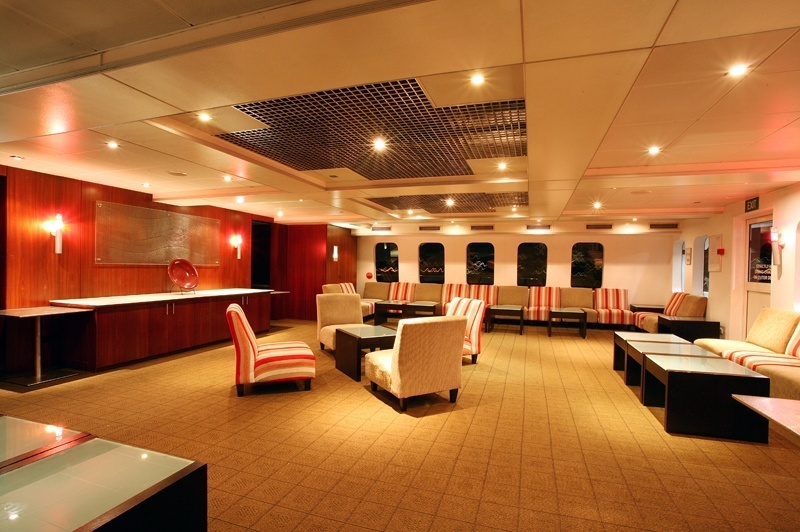 These guests will no doubt have access to all other decks and entertainment areas. This package is perfect for group bookings as you will have all the privacy you need to enjoy your Sydney Harbour NYE party. 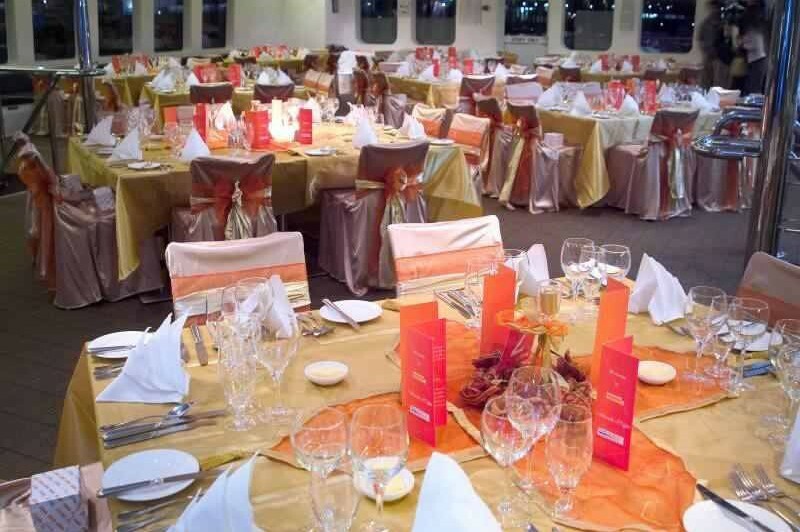 Tables can be reserved for couples and smaller groups. 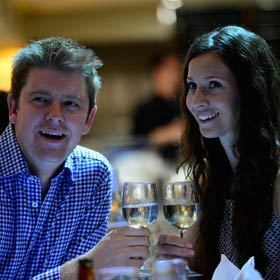 Enjoy premium views of all the spectacular Sydney Harbour events and the NYE fireworks display. 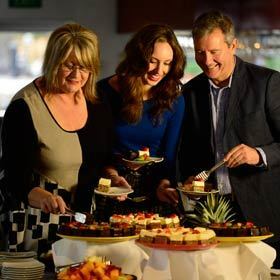 This New Years Eve package includes a 7-hour dinner cruise with a 5-course seated and served menu, premium beverages for the duration of the cruise and a live band and DJ for entertainment. Infants and children below 7 years are strictly prohibited on all New Years Eve cruises operated by Australian Cruise Group. 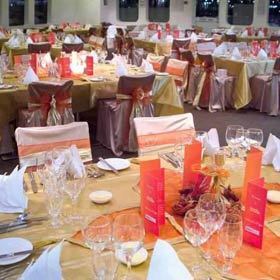 This is due to the long duration of the cruise, the busy wharves we depart from and the style of the New Years Eve party format where alcohol is consumed.
" I would like to complement the staff on this nye cruise. They were very happy, cheerful and very obliging. Well done to them all." " Great experience. Wonderful. Could not think of how you could do better. Thanks, Harry"
" We had an amazing evening with majestic. 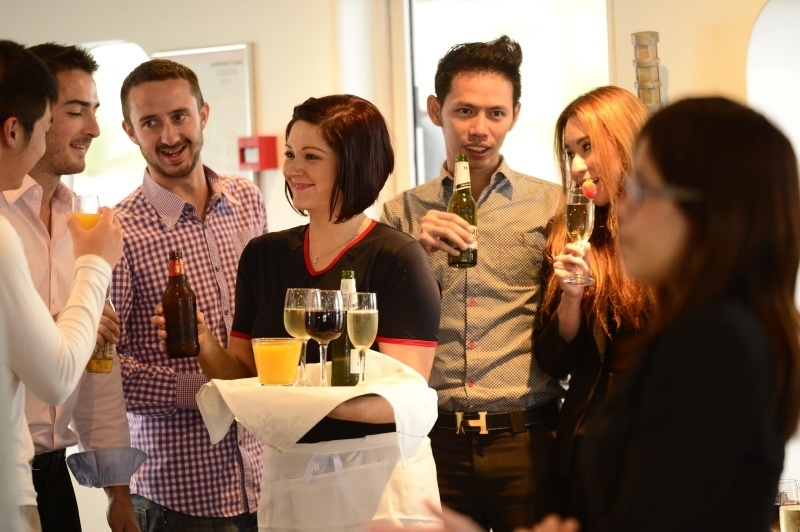 I would recommend your company to anyone thinking of New Year in Sydney"
" Its was amazing everything ran like clockwork, was better then I could ever of imagined." " Thank you to transmit to the staff and crew my thanks and congratulations for quality of service and the successful conclusion of this cruise with a perfect view of the fireworks. This will remain me as an exceptional moment. Philippe VIEUX-COMBE. " " Enjoyable Night. 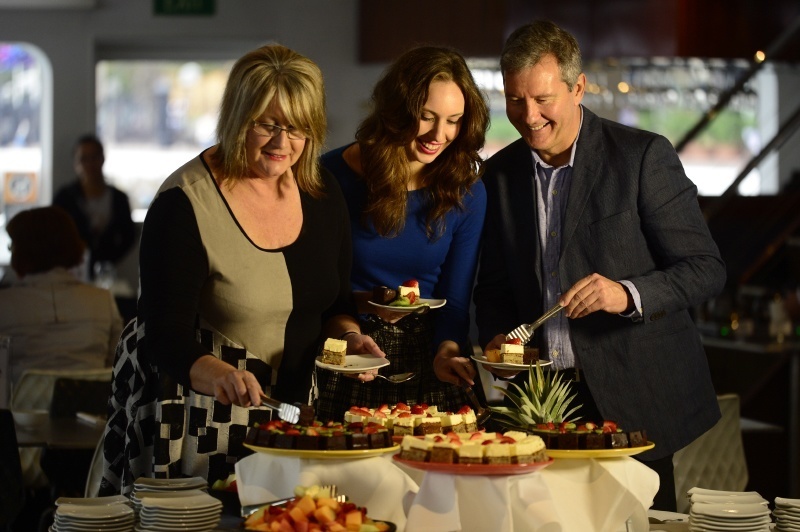 Have been on this cruise before and enjoyed all times." Midnight on New Years Eve is a magical moment in time where the past and the future merge with what we call the ‘present’! 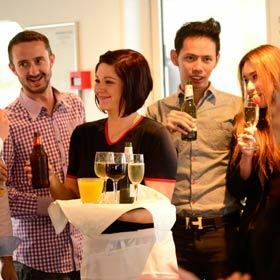 It’s an occasion that calls for a special celebration, a reason to indulge in new experiences – and New Years Eve onboard Sydney’s luxury catamaran, the Magistic Two, gives you just that! Celebrate NYE 2019 on the decks of the Magistic, far from the madding crowd that throngs vantage points along the Sydney Harbour. 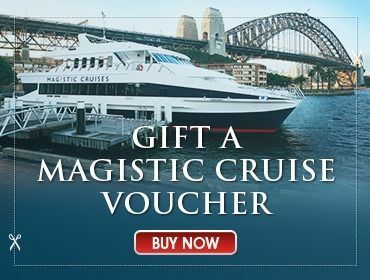 The Magistic is built to the highest nautical standards with lavish contemporary décor to enhance its ambient luxury, making it one the stateliest vessels to cruise Sydney Harbour. 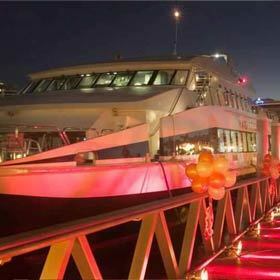 The Magistic Sydney Harbour NYE Cruise Package includes a seven-hour dinner cruise with a five-course seated and served menu, premium beverages for the duration of the harbour cruise and a live band and DJ for entertainment. To top it all, this special NYE package is offered to only 260 guests, to maximise the quality of our service and comfort to guests. As the sun sets over the glistening harbour watersand you’re basking in the luxury of our services, the NYE night festivities begin. You’ll be there to capture the moment when a Sydney Port fire tug blasts tonnes of water into the sky creating a striking visual image against the warm glow of the setting sun. This is followed by a brilliant aerial spectacle that showcases special aircraft dipping and diving, twisting and turning all the way from the Opera House to Clark Island. The Sydney Harbour Bridge is the epicentre of the events that precede the New Year. From the decks of the Magistic, you get to see the pylons on the eastern side of the bridge come alive with myriad images that are projected onto their surface. Another major event is the Sydney Harbour Bridge Effect that mirrors the traits of a chameleon, displaying ever-changing images that highlight the theme of the NYE celebrations. This spectacle goes on till sunrise in the New Year. Sydney’s fireworks are touted to be one of the most spectacular displays in the world. It kicks off with the 9pm NYE family fireworks that is set to popular music, organised specially for children, families and others who find it difficult to stay out till midnight. And, at the stroke of midnight, a dazzling display of fireworks explodes into the night sky heralding the beginning of the New Year. Now, that’s what happens on the outside. 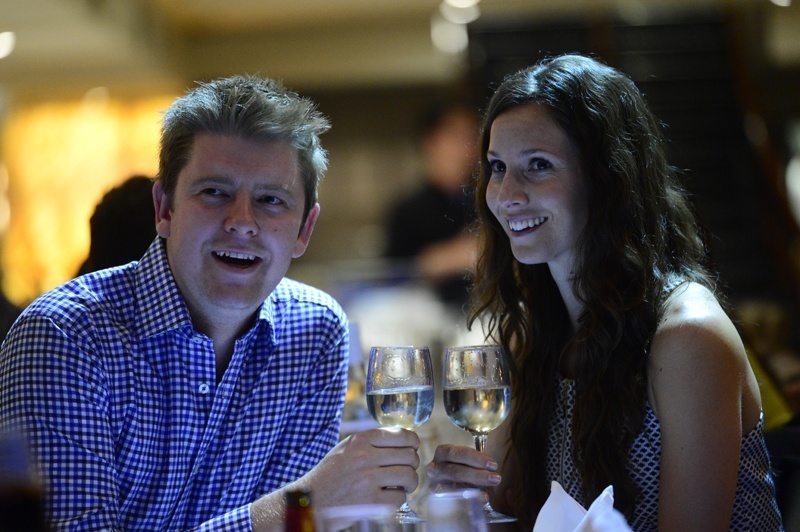 On the inside, you will be seated at tables reserved exclusively for you, with our waiters tending to your every whim. 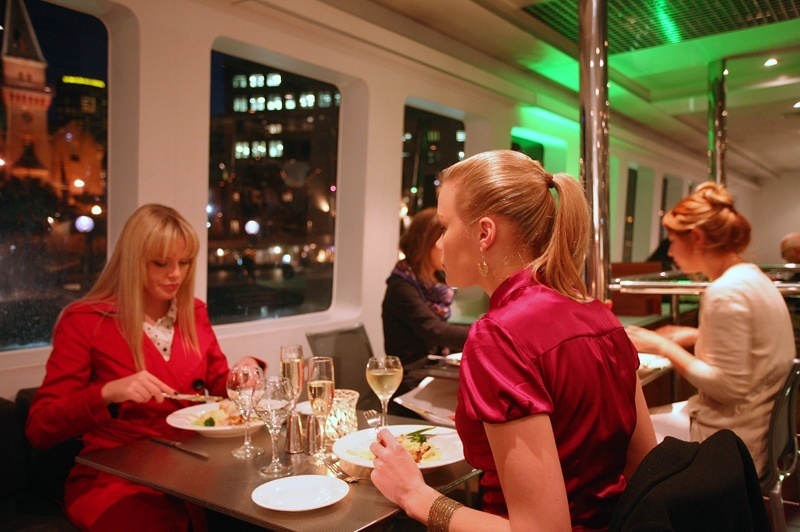 You will absolutely enjoy the five-course, seated and served dinner that our chefs on board prepare to perfection. With drinks flowing throughout the duration of the harbour cruise and a live band and DJ to set the rhythm of the night, you’ll be ready to dance the night away and welcome the New Year in all gaiety! The New Years Eve Cruise is one of Magistic’s most popular packages and has been sold out since 2001, speaking volumes about quality and consistency of our services!